To celebrate five years of NT100 we’ve revisited what3words to understand what’s helped the initiative grow, since it featured in our 2015 NT100. In South Africa, 1,500 mothers and 34,000 babies lose their lives each year because they don’t get to a hospital in time. The problem is particularly pressing in the country’s informal urban settlements, like KwaNdengezi on the edge of the coast city of Durban, where 50% of the population give birth at home. The majority of roads have no official names or street signs, and only a few houses are numbered. The average emergency response time is two to three hours. Dr Coeni Louw, Director of Gateway Health Institute, experienced the same problem. Thankfully, Louw learned about what3words, a British mapping startup that has allocated a unique three-word address to every 3 x 3 metre square on Earth. Partnering with what3words, the Institute has been able to start addressing the 11,500 or so dwellings by showing residents the three words that correspond to their front door and supplying them with a sturdy and attractive sign to put on their door. So far, 4,000 dwellings have been addressed this way. Now, when a resident with a what3words address calls an ambulance, they provide the three-word address to the dispatcher, who can plug it into an ambulance’s navigation system. Many of us take our address for granted, but poor and inconsistent addressing is a surprisingly widespread problem. According to the UN, 75% of the global population, some 4 billion people, lack a reliable address, making it difficult for a person to vote, register for government services, receive medical care, engage in the legal system and receive deliveries. The problem affects the poorest communities, and becomes worse when a natural disaster strikes, destroying roads, street signs and dwellings. The issue is not restricted to developing countries. A third of houses in Ireland lacked unique numbers until the introduction of the Eircode postal code system in 2014. In the UK, local authorities are responsible for requesting new postcodes, which can take months. Chris Sheldrick, co-founder and CEO of what3words, says that the Royal Mail’s Postcode Address File lacks 3 million properties in the UK. A further experiment with GPS coordinates didn’t help; people had trouble remembering and relaying a long sequence of numbers, and often ended up in the wrong place regardless. It wasn’t until Sheldrick met up with a mathematician friend, Mohan Ganesalingam, that the seed of an idea for what3words was planted. The pair first divided the Earth’s surface into 57 trillion squares with an area of approximately 3 x 3 metres (correlating to smartphones’ current maximum accuracy), with some variation at the poles, allowing for the Earth’s spherical shape. Each square’s central point is matched to GPS coordinates. They then spent several months working with linguists curating a 40,000-strong word list, removing swear words, homophones and words with a variation of spellings. The final list produced enough three-word combinations to give each of the world’s 57 trillion squares a unique 3-word address. Finally, an algorithm made adjustments to apply short and easy-to-remember words to areas with high traffic, like London, and longer, more obscure words to less-travelled locations, like Siberia. Similar-sounding addresses are moved continents apart so that typos and mistakes produce results so far away that the problem is easy to spot. The system is surprisingly intuitive. Use the website, app, or any of a growing number of third-party applications with what3words integrated to locate a square anywhere in the world, and the three-word address comes up. Conversely, enter a three-word address and the map instantly moves to a corresponding location. The app integrates with a range of map applications, including Google Maps, to provide directions. Taking up only 12 MB, the system can be accessed offline and is entirely free to use for individuals. It is currently available in 14 languages for all squares on dry land, while squares in water are always covered in English. More languages are in development. A new address system may take some getting used to, but what3words is already getting some serious traction. While the company won’t release a total number of users, it says it is being used in 175 countries and counts more than 500 commercial, NGO and non-profit clients that pay for the company’s enterprise service by volume. Eight countries have adopted what3words as their official postal system, most recently Nigeria, where only 20% of the country’s 184 million inhabitants were able to receive mail at home. The system has a wide range of applications. In dense and developed parts of the world, what3words mainly helps increase efficiency. A recent pilot with London courier company Quiqup led to 30% savings after using what3words addresses. Another pilot with Aramex in Dubai resulted in 42% faster deliveries and a reduction of 22% in the distance travelled over 100 deliveries. A recent integration with the satnav system in Mercedes Benz cars is being rolled out next year, and promises a more accurate and easier-to-use in-car navigation system. what3words’ commercial applications increase economic efficiencies, which arguably lead to more jobs, but the company’s real impact comes from use in humanitarian scenarios. In India, a women-only taxi service called Bikxie Pink uses what3words to get Delhi’s female population safely to their destination, and BuffaloGrid, a solar charger for mobile phones in off-grid and grid-edge communities has partnered with what3words to map, track and navigate its network of charging hubs. Closer to home, the British Museum uses what3words to provide original locations of over a million archaeological finds, and the Festival Medical Services charity, who provide first aid and medical emergency services at Glastonbury, have been using what3words since 2016 to locate the injured or ill in large crowds. Most recently, a partnership with Infinitum Humanitarian Systems (IHS), a rapid response provider, has helped locate survivors during Hurricane Matthew in Haiti in 2016, and the 2017 earthquake in Mexico, ensuring supplies of clean water and preventing a cholera outbreak. “The entire IHS team converted to what3words while we were deployed", said Dr Eric Rasmussen, CEO of HIS. what3words is a for-profit company that owns the copyright for its addressing system. 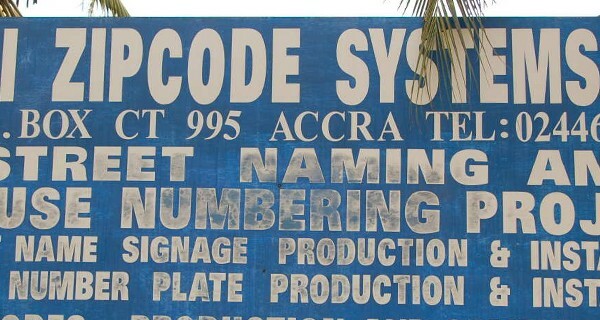 A fair number of critics challenge the what3words modus operandi, calling for opening of up of the code behind the system, while highlighting potential pitfalls for a developing country that relies on a commercial company to manage the public postal system. Sheldrick says that all contracts offer protection for clients, whether they are countries, businesses or non-profits. The company also provides special pricing structures for qualifying non-profit companies, and ensures that low-volume use is always free. Sheldrick is adamant that structuring what3words as a commercial business leads to the greatest impact. To date, the company has raised over $13 million in external investment, as well as signing an investment deal with Deutsche Bahn for an undisclosed amount this year. The company employs 45 staff and has won numerous awards, from Fast Company’s Innovation By Design in the Social Good category, to AppsAfrica Innovation Awards in the Best Enterprise Solution and Best Disruptive Innovation categories. It’s clear that regardless of criticism, the what3words system is becoming widely adopted, creating a more accessible and comprehensive global addressing system that will provide more people with a legal identity, ability to receive goods and services, and with it, an opportunity for greater participation in local and global systems. Sheldrick is now focusing on adding more languages, and introducing voice recognition, a significant development in a world where more and more people use voice commands on their smartphones, including the so-called “next billion” internet users – those who are not always literate but can navigate the online world thanks to voice recognition.